Pass the Doody is a fun quick card drinking game for any kickback. The game is simple to learn and easy to play. Grab a deck of cards and have all your friends gather around. Have everyone sit around a table in a circle with a beer each and a deck of cards for the group. 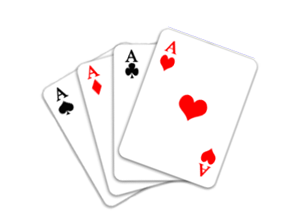 To figure out who deasl first, flip over a card for each player and whoever has the lowest number deal first (Ace is low). The premise of the game is not to have the lowest card, called the doody. The game starts by the dealer giving each player one card. This card is dealt face down and can only be seen by the person the card was dealt to. The person on the left of the dealer has the option of passing his card to the right or staying with the card that they were dealt. 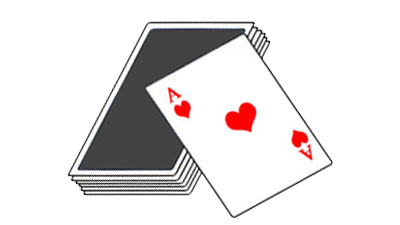 If the player passes the card, then the person to his right must exchange cards and take the card. The person who passed the card must stay with the card the exchanged with whether it is worse or better. This now continues with the next person having the same option of exchanging cards with the person on the right for staying with the card they were dealt. If the person on the right is the dealer then the dealer gives him his card and takes a new card off of the top of the deck.